I started work on a new project. Part of the work has already been done. It's a pretty sweet looking witch hunter. The main part was ready in a month. But the cloak created difficulties. I had to stop work. As you can see, the cloak is ready and I move on. 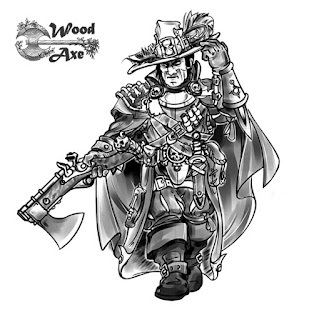 "When you go to cleanse the world, take a hat, cloak, and weapons... More weapons"
Very nice. Are you going to cast him? lt dougheim, yes, be going to cast. DwarfCrypt, thanks. Pre-order will be open soon. You can see prices, the full line, and more/better pictures at Etsy: https://www.etsy.com/shop/WoodAxe. Getting ready for release witch hunter. Little video on facebook page: https://www.facebook.com/wood.axe.ua/videos/2281266385435887/. Let us know how he can be ordered. He turned out great! The dude rocks! S o. G o o d! Zygmund, You stick to our politics. More different and good models on the table and on the shelf. I will be honest - this price will not be long. So I ordered three of them. And they're at my post office. Just didn't have the time to pick them up during the working week. It's gonna be a pleasant weekend. I've (finally) ordered a couple. I only need one, really, but international postage makes that wasteful! Looped over to the site, saw the dwarf in the air balloon, and it looks awesome. 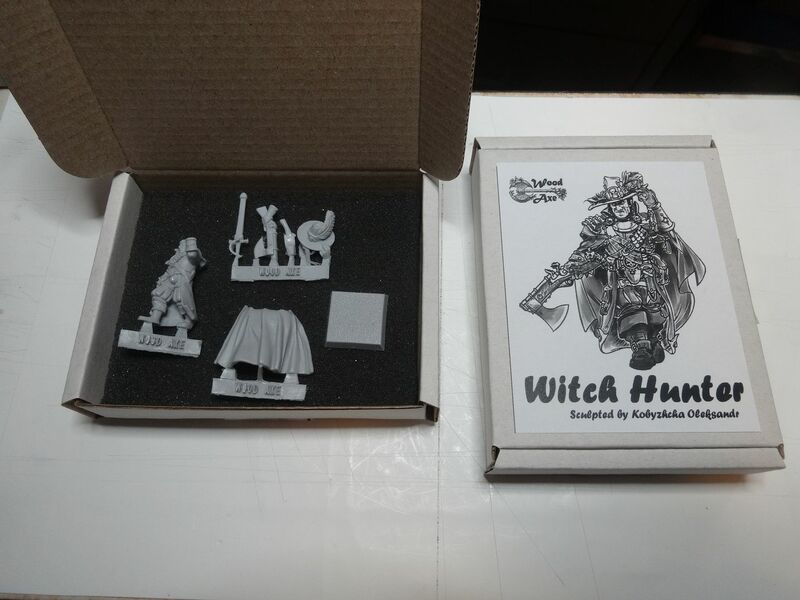 I received my Witch Hunters today, not only did they come more quickly than expected, not only are they just as nice in the flesh as in the pictures, but look how nicely presented these are!